cold enough that some people will drive south to Palm Springs or Phoenix to escape Vancouver winters. If you plan to keep your car within Metro Vancouver, you are looking for a tire that can grip the road in cold temperatures, perform well on icy roads and dig into a bit of snow from time to time. If you plan to drive to the coastal mountains or into the BC Interior, you are looking for a more aggressive winter tire with good ratings for performance in snow. Whatever winter holds for you, Hyack Excel Tire can ensure your tires are in good shape and your vehicle is ready for your driving needs. 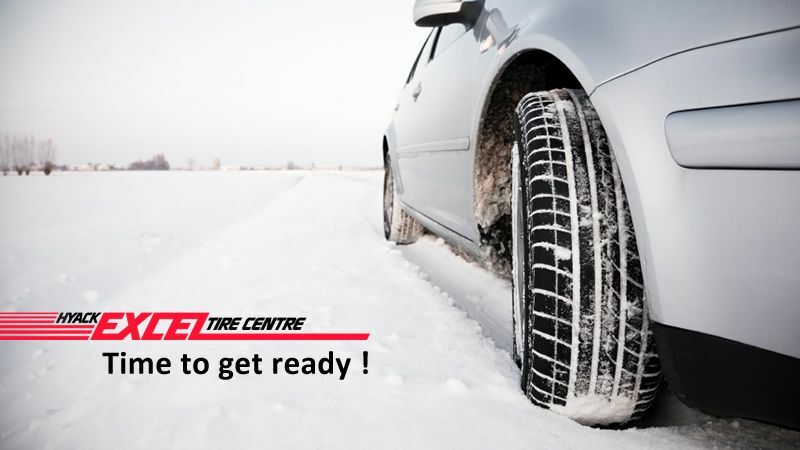 When the temperature drops below 7°C, typical summer or all-season tires become hard and less able to grip the road. Severe Weather tires (triple peak snowflake) are softer so they can grip the road better in cold weather. Metro Vancouver winters have overnight temperatures well below 7°C. We recommend good winter tires for safer driving in the city. If you plan to travel in BC on any mountain highway, including the Sea to Sky Highway, during the period October 1 to March 31, your vehicle must be equipped with the right tires. Both the mountain snowflake and M+S tires meet the minimum requirement for winter tires in BC. Some tire manufacturers have incorporated both 3 Peaks Snow Flake and the M+S symbol on their tires. The technical requirements are a bit more complex than this. Give Hyack Excel Tire a call; we can help you understand which tires you need. Winter Tires in BC - published by Ministry of Transport . At Hyack Excel Tire, our Tire experts know the performance characteristics of all the major tire brands. We can help you select the right tire for your vehicle and driving needs. Give us a call at 604 524 2264.